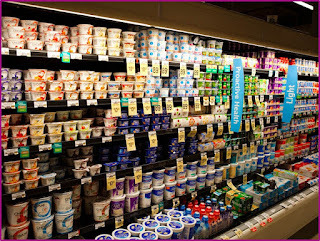 Many U.S. refrigerated yogurt retail departments are a disaster. There are too many options, too many flavors, too many package sizes. 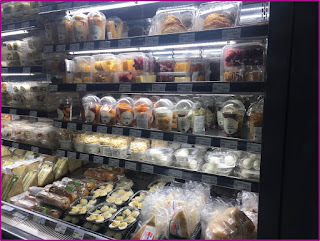 Yep, I write this blog on innovation and I’m going to be as direct possible, the refrigerated yogurt case does not need any more copycats. Spring is in the air. How about cleaning up and paring down your mainstay SKUs. The refrigerated yogurt case does not need a blended low-fat cherry yogurt sold under seven different brands. That’s what I counted in a store the other day. According to The Yogurt Market and Yogurt Innovation, 3rd Edition, from Packaged Facts, estimated total retail dollar sales of the U.S. yogurt market were $8.8 billion in 2017. Sales increased at a compound annual growth rate of 2% between 2012 and 2017. Volume sales were basically flat in the period. Greek yogurt was the primary driver of upward sales growth over most of the past 10 years. This report identifies a number of opportunities for growing the category. I am going to build on two of them and present you with three concepts for innovation inspiration. The first opportunity is dairy alternatives. I discussed this last week. You can read more HERE. The challenge with many of these alternatives in their nutritional inferiority, namely, they lack the powerful protein one gets in cows milk yogurt. So why not combine the two? Adding whey proteins to a cultured coconut base prevents a vegan claim, but it’s still vegetarian, and likely still appealing to that growing segment of the population described as Flexitarian or Lessitarian. It’s the allure of plant protein fueled by the power of whey. I see this product as more of a drinkable, quite possibly with a smoothie descriptor. Merchandising in the produce department beverage sector would be ideal, but if not there, the value-added milk department makes more sense than that very confusing and congested yogurt case. That brings me to the second opportunity—international influence--identified in the report. I will break this down into two innovation inspirations. 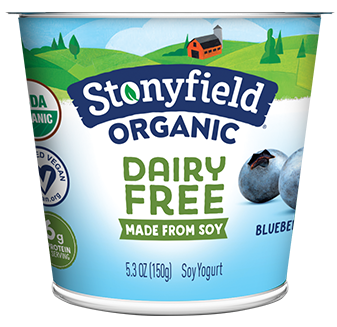 Here’s an international influence that has gone largely ignored in the U.S. It’s pourable yogurt. This is not to be confused with drinkable yogurt, which is meant to be drunk. 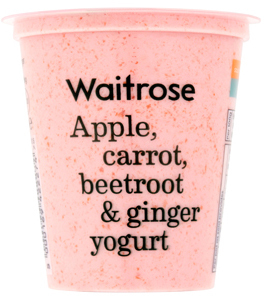 Pourable yogurt, as its name suggests, is meant to be poured on…to cereal, fruit, salad, etc. Quarts of kefir are the closest thing, and many consumers do use kefir in this manner. Hopefully more consumers will explore how you can cook with kefir once The Kefir Cookbook, by Julie Smolyansky, CEO of Lifeway Foods, rolls out March 6. This first-of-its-kind cookbook features more than 100 globally inspired recipes using this popular probiotic and nutritious superfood. Knowing Julie and her energy and commitment, I am confident this book will receive a lot of publicity. This is turn will encourage consumers to get more creative in the kitchen with kefir and other cultured dairy products. The time is right for pourable yogurt. One might argue that all a consumer needs to do is scoop a few spoons from a multi-serve tub of yogurt. It’s just not the same. And, for many, there’s the syneresis issue that compounds after every scoop. Pourable yogurt is meant to be shaken and poured. It should flow easily. It can be enhanced with vitamins, minerals, probiotics, prebiotics and protein for extra nutrition. But even more importantly, the product can be merchandised in the valued-added milk case. That’s where you find cultured buttermilk. Now here’s that international influence. 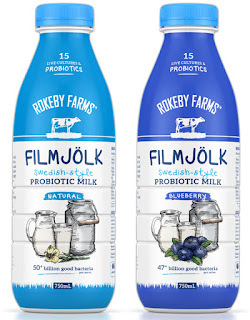 It’s called Filmjölk, or simply fil. 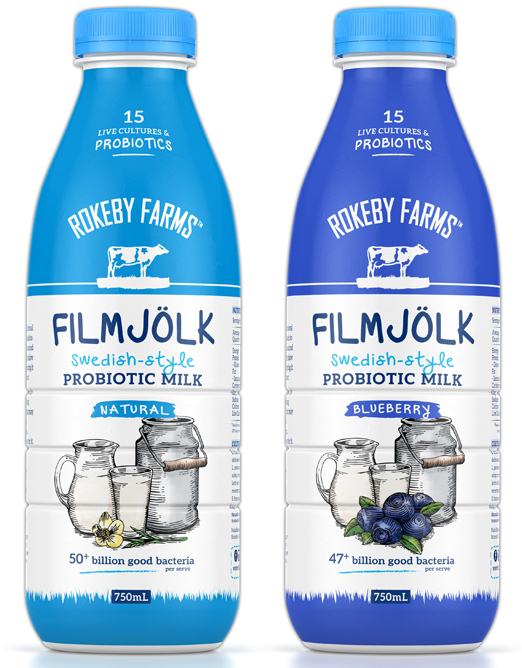 This is a traditional fermented milk product from Sweden, and a common dairy product within the Nordic countries. It tends to have a mild and slightly acidic taste and is designed to be poured. Here’s the second spin to the international innovation opportunity. David Sprinkle says that innovation in flavor, texture and portability remains key to the market. That’s what you get with Alove from Morinaga Nutritional Foods Inc., the U.S. arm of Japanese dairy giant Morinaga, which has been successfully selling aloe yogurt in Japan for years. The brand debuted at Expo West 2017 and has not stopped growing. Alove is a kosher-certified yogurt snack that contains aloe, which is made via Morinaga’s proprietary process of removing fresh aloe from aloe plant leaves, the best and tastiest parts. This then gets mixed into creamy yogurt. The product is made in the U.S. using locally sourced California milk. The product does not contain high-fructose corn syrup, artificial flavors or gluten. It made its original debut in Blueberry, Original Aloe and Strawberry flavors and just last month Peach, Kiwi and Vanilla joined the lineup. The brand also has big news for Expo West 2018, which is less than two weeks away. But it’s embargoed, so you will need be patient for the details. Alove cups are described as a thinner yogurt compared to conventional and Greek. The product gets a protein boost from whey protein isolate. The aloe contributes a unique texture to the product and is associated with internal healing, cleansing and repair. Some studies show an association with boosting immunity and heart health. In conclusion, Packaged Facts analysists have high hopes for the yogurt category. So do I! The report projects that retail dollar sales of the yogurt market will reach $9.8 billion in 2022. Yogurt drinks will continue to grow in popularity, with sales increasing to drive overall market gains. Declines in the spoonable segment will abate, and sales will stabilize as major marketers respond to opportunities in growth niches, particularly in plant-based alternatives. For more information on the report, link HERE. Hopefully these three concepts provide innovation inspiration. Before farmer and cooperative readers send me disheartening notes, please hear me out on today’s topic of why it makes good business sense for dairy processors to offer dairy alternatives. And please remember, I’m a dairy-loving lady, so much so that I volunteer at the Farm-in-the-Zoo in Chicago’s Lincoln Park Zoo in order that I may educate visitors during the cow feeding and milking programs. The fact is, dairy alternatives are a growing business. They may still be a small part of the big picture, especially in cheese, where, let’s be honest, nothing compares to real cheese. But on the beverage side, business is booming. Many of you were grumbling about it at Dairy Forum. Instead of complaining, act on it. By the end of this blog, I think you will be convinced that it is time to include plant-based products in your dairy foods portfolio. The key is they are doing this, sometimes, not necessarily always. It may be every other shopping trip. Or they may keep both dairy and dairy alternative options on hand, and enjoy both depending on daypart and usage occasion. “Vegetarians and vegans together account for less than 15% of all consumers and their numbers do not grow very rapidly, but a growing number of consumers identify themselves as flexitarian or lessitarian, meaning that they’ve cut back on their consumption of animal-based foods and beverages,” says David Sprinkle, research director for Packaged Facts. “It is this group that is most responsible for the significant and ongoing shift from dairy milk to plant-based milk. Please take note of that important figure: 82% of non-dairy milk buyers also buy dairy milk or half-and-half. The truth is, marketers of plant-based beverages and other dairy alternatives are hardly concealing the nature of their products. The whole point is that they are offering dairy alternatives. That brings me to National Grocers Association (NGA) annual meeting earlier this week in Las Vegas. It’s an educational expo for me, as I gain insights on retailing from the independent grocers who attend the event and the suppliers who serve them. Fresh and in-store foodservice were hot topics of discussion, as was snacking and how to best accommodate the growing array of snack foods. I was talking with a number of retailers about their dairy departments, mostly refrigerated but frozen, too. The consensus was that many of their shoppers purchase both dairy and dairy alternative products because of household members’ preferences or dietary needs. 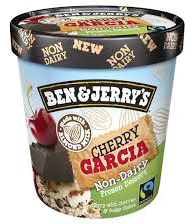 What surprised me was the next revelation, and this was made specific to Ben & Jerry's, Organic Valley and Stonyfield. These retailers told me that shoppers who purchase dairy and dairy alternatives tend to stay within the same brand whenever possible. One retailer specifically said he wished more dairies would offer nondairy under the same family brand. To learn more about this opportunity, I encourage you to register for a webinar on this topic that will be held on Wednesday, Feb. 28, 2018. The speakers will explore the trends that are reshaping the dairy market and provide fresh insights on how you can set your products apart. You will gain insight to consumer perceptions of alternative dairy products currently in the market, which will help you develop the next generation of dairy alternatives. Dairy alternatives from dairies. Register HERE. The percentage of Americans drinking coffee on a daily basis increased to 62% this past year, up from 57% in 2016, according to the National Coffee Association. This increase may be attributed to the growth in premium, gourmet beans as well as the variety and convenience of grab-and-go, ready-to-drink (RTD) coffees. The latter has experienced an upsurge thanks to the cold-brew phenomenon, which for many, turns an otherwise bitter beverage into something smoother, more palatable. Consumption of RTD coffee is highest among 13- to 18-year olds, as younger consumers, in general, feel less confident brewing their own coffee. This should come as no surprise. This is a generation that grew up playing in coffee shops while mom and dad sipped and socialized. This is a curious and adventurous audience, and thus presents an excellent opportunity for dairy processors to offer next-generation cold-brew coffee beverages. What do I mean by next generation? Well check this out. 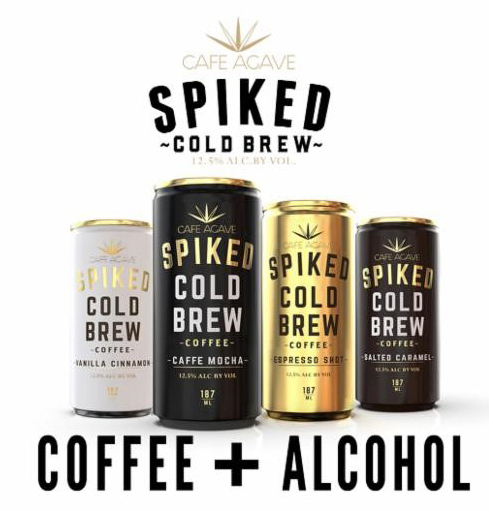 Though it’s not (yet) for this younger—Gen Z—consumer, as you must be 21- or older to purchase, this new RTD coffee from Café Agave is an extreme example of the opportunities with cold brew. 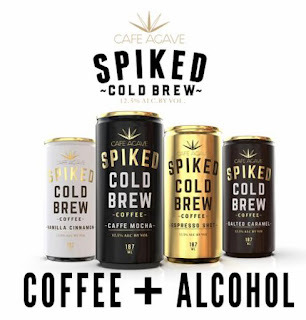 Rolling out this spring, new Cafe Agave Spiked Cold Brew Coffee is a first-of-its-kind to market. It’s a blend of alcohol, cold-brewed coffee, real dairy cream, agave nectar and natural flavors. The wine-based beverage (12.5% alcohol by volume) comes in four flavors: Espresso Shot, Caffe Mocha, Salted Caramel and Vanilla Cinnamon. I’m not suggesting dairy processors get in the booze business. But, I am suggesting you get more creative to appeal to the millennial and Gen Z consumer who likes to explore new beverages. Beverage entrepreneurs are onto it, with most PROUDLY using milk or cream as the number-two ingredient. And, take note, one of the beauties of the cold-brew process is that coffee is less bitter. This allows for the development of beverages with no or very little sweetener, which appeals to today’s beverage consumer. At the convenience store show (NACS) this past October, Bowery Coffee Company provided a sneak peek at its Cold Brew + Milk line, which comes in 8-ounce slim cans. Made with whole milk, the drink comes in Original, Mocha, Tahitian Vanilla and Toasted Caramel flavors. Hey Day showcased its new 11-ounce can line, which includes three varieties—Chocolate, Espresso and Vanilla—made with reduced fat milk. Calories and sugar content are kept low though the use of monk fruit extract. In Canada, Natrel has repackaged its iced coffee drinks in 310-milliliter sleek single-serve plastic bottles. The dairy beverages are intended for the growing convenience and snacking channels. Peet’s Coffee and Tea Corp., now offers a line of RTD cold-brew coffee bottles. One of its specialties is The Black Tie, which is described as bold, smooth and never bitter. It is made with sweetened condensed milk and cream. Other dairy-based offerings include Au Lait, Dark Chocolate and limited-edition Peppermint Mocha. The Coca-Cola Company will be rolling out Dunkin Donuts Shot in the Dark this May. The 8.4-ounce cans of coffee and milk come in Mocha, Regular and Vanilla flavors. 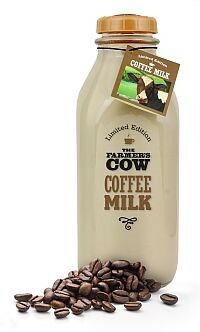 Coffee Milk is the newest flavor in The Farmer’s Cow popular series of limited-edition milks. Sweet and creamy, it blends rich whole milk with coffee extract, natural flavors and just the right amount of real sugar. There are no artificial flavors or colors, and no high fructose corn syrup. All of the flavors of The Farmer’s Cow Limited Edition Milk are produced in small batches and sold in collectible glass bottles. Each 8-ounce serving has 200 calories and provides 8 grams of protein. The Coffee Milk is easy to find in the dairy case with a latte colored cap and The Farmer’s Cow signature brand. DanoneWave is expanding its refrigerated Stok cold-brew coffee brand with Stok Protein Espresso. Each 12-ounce bottle contains 16 grams of protein. The beverage is being marketing as “fuel for your daily grind.” A serving contains as much protein as two large eggs and a slice of bacon and as much calcium as a glass of milk.Its ingredient list is simply: Coffee (Filtered Water, Coffee), Skim Milk, Micellar Casein (Milk Protein), Cane Sugar, Cream. Here’s another selling point beverage marketers will likely soon capitalize on: Coffee is the number-one source of antioxidants in the U.S. diet, according to research from the National Coffee Association. And, let’s start talking about what milk brings to coffee beverages. Numerous consumer articles this past week were based on the scientific paper published in the January 2018 Journal of Food Science and Technology (abstract HERE) that compared the nutritional comparison of cows milk with milk alternatives. The purpose of the paper was to help consumers make informed decisions. Most of the consumer media communicated that nothing compares to cows milk’s strong nutritional package. The closest alternative is soy. Link HERE to an article written by a registered dietitian. It’s time to get creative with cold brew and compete in the beverage business. With value-added beverages, single-serve, eye-catching packaging is paramount. Co-packers can assist. (Link HERE for co-packing assistance.) There is a real opportunity to take a functional foods positioning with cold-brew, dairy-based beverages. Just the other day I read this recent stat: 17% of consumers who purchase soup through a foodservice channel consider it to be a snack. This is up from 11% percent in 2015, according to Technomic. Soup? As a snack? Think about soup, specifically soup at retail foodservice. It’s the perfect example of perception vs. reality and the ignorance of today’s shoppers. Many shoppers believe that hand ladling hot soup into a to-go paper bowl at the front of store is a healthier choice than walking to the center of store and purchasing a microwavable bowl of soup for half the price. The reality is both versions of soup are high in sodium and far from minimally processed. But it does not seem to matter. They think it’s a healthy snack. I can promise you most of the hot soups contain preservatives—artificial or natural—to prevent everything from warmed-over flavor to microbial growth. And depending on the soup system, stabilizers are often necessary to keep dumplings from disintegrating and creamy solutions from separating. Hot soups sitting in a kettle are not simple, clean-label formulations. But shoppers love them. And they are snacking on them because they are conveniently located at the front of store in the fresh department, where shoppers increasingly are purchasing foods for immediate consumption. It’s all about speed, experience and personalization. 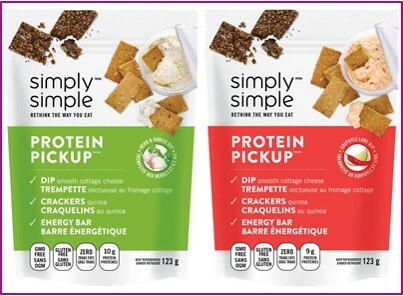 It’s time to reinvent dairy snacks and go after other channels, namely convenience stores, gas stations, coffee shops, school cafes, health clubs, and more. I emphasize the “reinvent,” because the convenience shopper is looking for products that catch their eye and meet their personal needs, emotionally and physically. About a year ago, Nielsen research showed that U.S. convenience stores have boasted relative strength and sales growth in recent years. Built on the premise of speed, convenience stores are modeled to deliver on specific consumer needs that competing channels don’t fully meet. Convenience stores are highly relevant to consumers’ on-the-go lifestyles and are well equipped to deliver products that meet their immediate needs. Have you seen what you can now purchase at a neighborhood CVS or Walgreen’s? These stores are no longer just cold medicine and birthday cards. The same is true for Target. Many have recently been remodeled and their fresh food offerings are quite impressive. Who would have thought just two years ago that you could run into Target and get a premium snack pack of imported charcuterie and cheese? 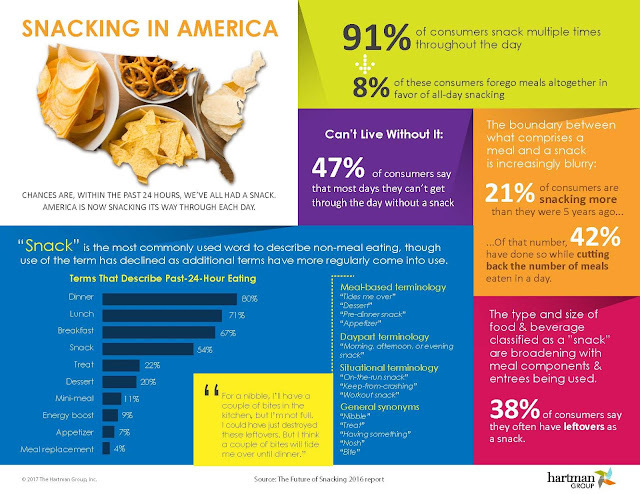 With 91% of consumers snacking multiple times throughout the day and 8% of these consumers forgoing the traditional three-square meals in favor of all-day snacking, according to research from The Hartman Group, food and beverage marketers are down-sizing packages and getting creative with flavors and nutrition profiles in efforts to make their products the ones grabbed for this growing dining daypart. 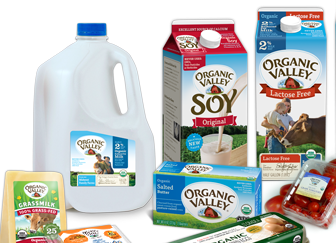 Dairy foods manufacturers are no exception. I recently wrote an article and slide show on dairy snacks for Food Business News. You can read it HERE. 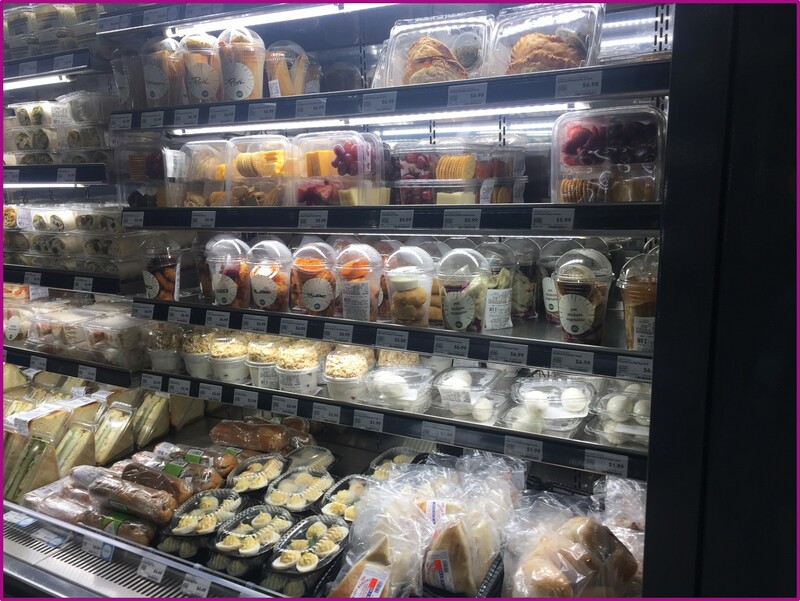 The challenge is to get dairy foods merchandised in the grab-and-go case for immediate snacking needs. You need to be creative. It is wise for dairy foods manufacturers to have a team that separately works on the snackifying of its product lines. Retailers are not going to relocate products from the dairy case. 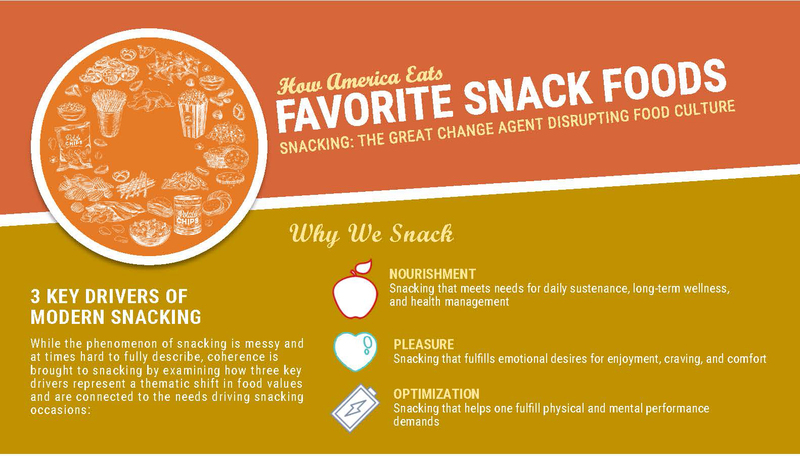 Research from The Hartman Group explains that while the phenomenon of snacking is messy and at times hard to fully describe, coherence is brought to snacking by examining how three key drivers represent a thematic shift in food values and are connected to the needs driving snacking occasions. The first driver is nourishment. 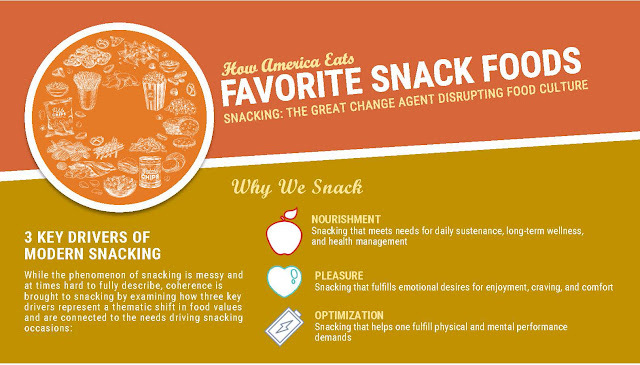 This is snacking that meets needs for daily sustenance, long-term wellness and health management. The second is snacking that fulﬁlls emotional desires for enjoyment, craving and comfort. And lastly, the third is optimization. This is snacking that helps one fulﬁll physical and mental performance demands. Dairy can do all this. Add a little flavor, boost up the protein, fortify with vitamins and minerals, etc. You get the idea. And here’s my advice: call it a snack! Why are the meat and cheese combo packs doing so well at retail? They look like snacks. They are called snacks. They are described as meeting the needs of one of the three drivers of snacking. Also, it has to look different than your other products. It has to look like a snack. 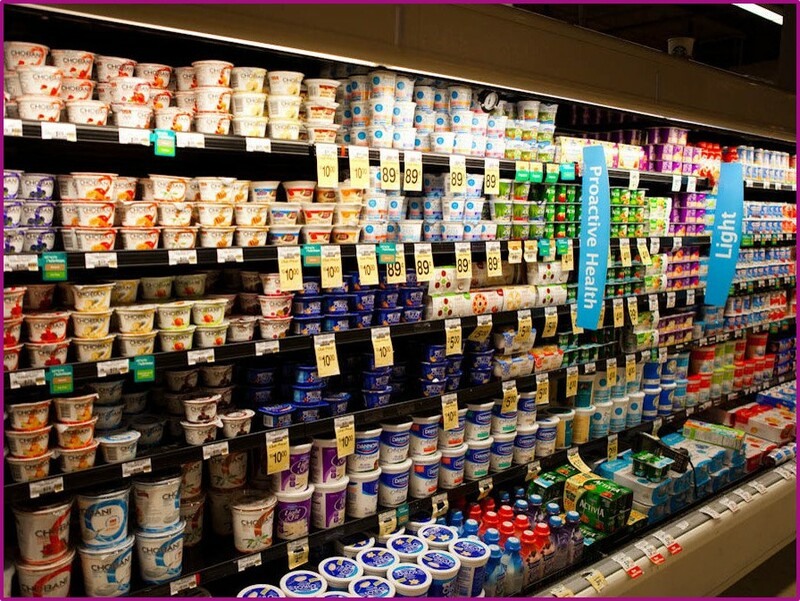 With products such as yogurt, it has to look like a freshly prepared snack. One of my favorite examples comes from the U.K., where Waitrose markets blended yogurts in clear cups. 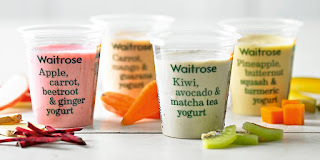 The yogurts are made with fruits, veggies and botanicals and the packages clearly showcase the content while they also simply describe the contents. 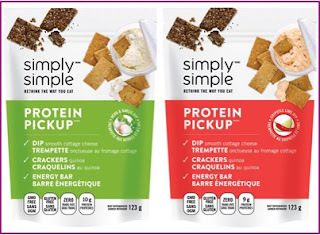 It’s time to develop new snacks, not new dairy case foods.